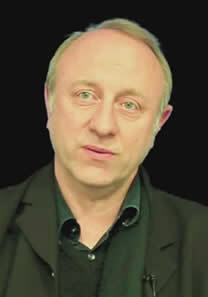 Gilles Delebarre is deputy director of the Education Department at the Philharmonie de Paris, in charge of the Démosproject. This project involves cohorts of children living in working-class areas during three years (the coming cohort will include 2000 children spread over five regions in France) and aims at stimulating innovations and thinking about musical education in France. Before the launching of Démos in 2010, Gilles Delebarre contributed to a broader educational programme, including musical awakening for small children and musical practice for a large audience (on traditional, amplified and contemporary music). He also dedicated himself to transmitting traditional music, especially javanese gamelan, all over France. His work experience is built on two different academic fields: he graduated in music education at Paris VIII University and in ethnomusicology at Paris X University where he studied a luth repertoire belonging to the moorish heritage from Mauritania. Démos is a cultural democratisation initiative oriented towards classical music, similar to numerous other initiatives all over the world, and tied to a unique goal: encouraging the social inclusion of disadvantaged children (especially for economical reasons) through an educational immersion in this heritage. Today, Démos enters its seventh year. Although still young, it provides quite a good basis for analysis and assessment. This communication will not only focus on social inclusion issues but also show how important musical education is for the good health of democracy. It is moreover on this premise that Démos is based, rather than on the idea that classical music would possess miraculous virtues to escape from social misery.